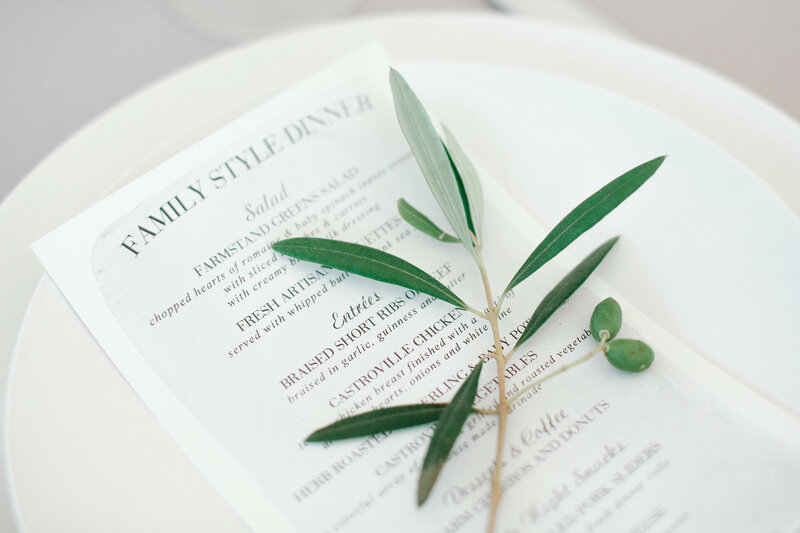 Family Style dining has been all the rage in recent years, and we get it! In this hectic world, the communal and relaxed aspect of it feels so right. If your vision includes friends and family lingering over their meals and enjoying each other’s company then Family Style is for you! Crisp toasted baguette rounds topped with tomato, garlic, basil & olive oil with a hint of olives & capers. A blend of quinoa and farro, roasted diced vegetables, tossed in a lemon vinaigrette with tomatoes and parsley. Marcona almonds, manchego cheese, summer ripened strawberries, champagne vinaigrette. Grilled, sliced and served with a pinot noir demi glaze. Rosemary and garlic marinated chicken breast with Madeira Wine Sauce. Sea salt, garlic, olive oil.